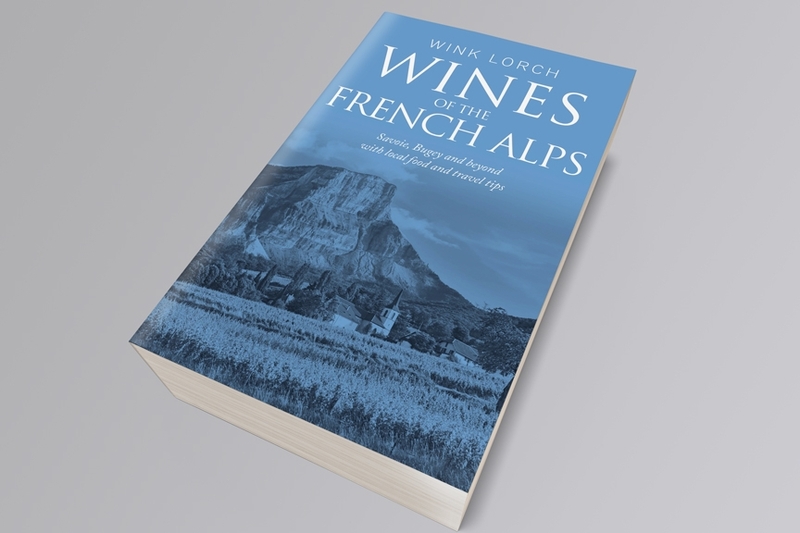 It’s been a long wait, but you can now make an advanced purchase of my second book, Wines of the French Alps through this, my revamped website. 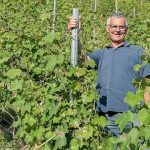 I plan to publish the book in April 2019 and not before time, given the amazing press and better distribution Savoie wines, in particular, are receiving worldwide. Those of you who supported my Kickstarter project last year to help finance the publication of the book and followed my updates there, will know that work on the book had to be put on hold and thus publication severely delayed. Sadly, Brett Jones, my partner in life, also known as The Wine Maestro and a great supporter in my work, died in April this year. The six months leading up to his death were particularly hard, and fairly obviously recovery for me since has not been easy, hence this blog has been somewhat silent. Despite my best efforts, it seems that at certain important times in life, the heart seems to have a way of preventing the brain and the typing fingers from functioning as the logical self might wish. And good Alpine wines only helped up to a point. 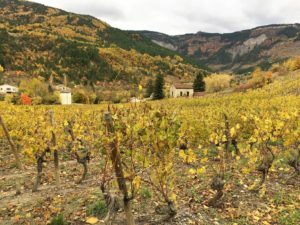 However, these past six months I have discovered more and more fine wine emerging from the French Alps – not only from Savoie, but from Bugey and Isère too and these regions, along with two Alpine regions further south, the Diois (where Clairette de Die comes from) and the Hautes-Alpes deserve much deeper exploration. But, they are not easy to understand, far from it. The technical part of the new book is now with my designer, but it took an age to refine, and even with the appellations, there were things to change after a break of a year or so. 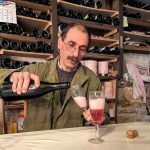 To read about a somewhat bizarre story of Alpine acrimony that meant I had to rewrite certain sections in the book, take a look at this post on the wars of the ancestral rosés. Since many people supported the publication of this book via Kickstarter in spring 2017, I feel that I owe them the most comprehensive updates, so please do follow along there and read my most recent detailed update on the book’s progress. 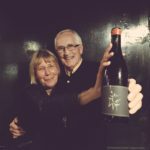 I am grateful for any support in spreading the word about buying Wines of the French Alps in advance, and of course, the Jura Wine book too. Although the latter was written five years ago (how time flies! ), I believe that at least 95% of the technical and historical parts remain up to date, and at least 80% of the producer section is up to date. 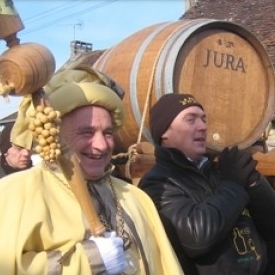 If you want to buy Jura Wine for the start of the New Year, use the code JU20NY19 for a 20% discount, valid until 31st January 2019. 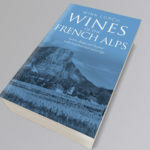 If you can wait for your copy of Jura Wine until publication of Wines of the French Alps, then you can buy the two books at a discount, with reduced shipping too. One practical change to the book-buying process on the website is that I am now using Stripe as the secure payment gateway, instead of WorldPay. All major credit cards are accepted through Stripe and although my prices are in £ pounds sterling, you will receive the standard exchange rate imposed by your credit card. In addition, there is a ‘secret’ wholesale payment page, which will allow anyone to pay a variable amount to me through Stripe in settlement of my invoice – this will facilitate payments for wholesale book orders. Forgive my absence from the airwaves and my work. I’m back working hard over what for me is always a quiet period. I’m shall be writing and editing over these next couple of months at my gorgeous base in the French Alps, and my relaxation time and indeed inspiration will be taken on the ski slopes, I hope. Wishing you a good end of the year and a great start to 2019.